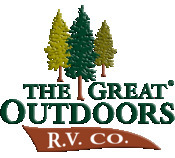 Thanks you for your interest in the Great Outdoors RV Company. We are a full sales, service, and parts dealership located in Evans Colorado on the southern end of Greeley about 50 miles north east of Denver. We have an excellent selection of Travel Trailers, 5th Wheels, and Toy Haulers. We pride ourselves in offering the best products. service, and prices in Northern Colorado and the Front Range.